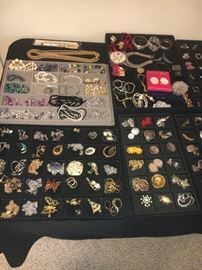 *We accept cash, check (with appropriate ID) and debit/credit cards. 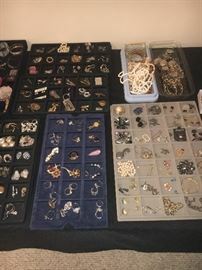 *Everything sold as-is, where-is. Bring help to load large items. *This is a one-day sale with firm prices to start, then reductions and negotiations likely as the sale progresses. *Written offers encouraged. Use bid box. Antique stoneware with small ear handles—chipped and cracked. 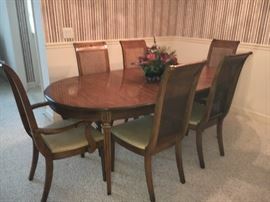 Vintage dining room table and 6 cane-back chairs (2 captain with arms and 4 without arms). Table has 2 leaves and pads. 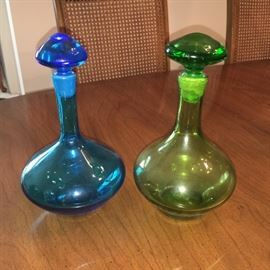 Mid-century handblown decanters with ground stoppers in vibrant colors. 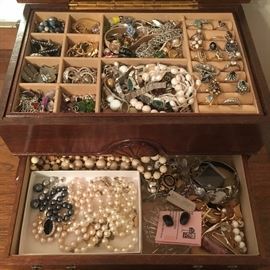 Lots of vintage costume jewelry, Sarah Coventry and more—some sterling silver. 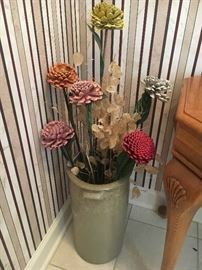 Lots of table top decor. 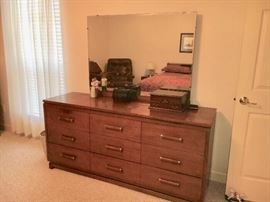 Mid-century modern bedroom group by Ramseur (Ramseur, NC) includes dresser with plate glass mirror, chest, queen bed with bookcase headboard and 2 nightstands. 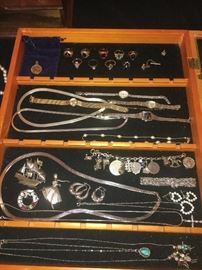 Each piece priced separately, or buy it all at a special price. Large collection “cobbler themed” figurines. Large collection of “cobbler themed” figurines. 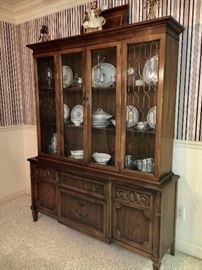 Vintage pine dresser with open hutch. Antique Norwood marigold “three fruits” plate. Formal living room—white sofa, contemporary mission style coffee table, vintage end tables and more. Several framed prints by Phil Ponder, some signed. Two solid wood rocking chairs. 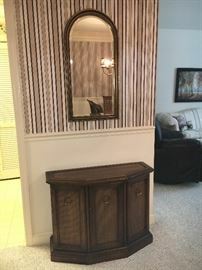 Plaid vintage couch, pair of end tables and lamps. Antique lusterware casserole dish (cracked) with metal holder, assorted silver plated serving ware. Vintage Princess China, Bridal Wreath pattern—service for 8 plus several completer pieces. Super nice oversized leather power recliner by “Cheers”. 2010 HP Pavilion p6527 c-b PC bundle with nice monitor—works great. 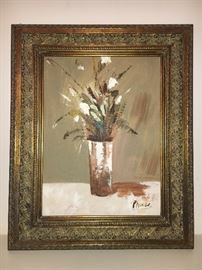 Original paintings and framed prints. 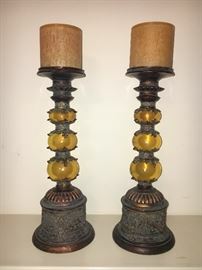 Matching pair of vintage maple step end tables. “To paint or not to paint”, that is the question! The answer is probably “yes”.